"I know . . . It sounds a little out there---Woman Behind The Man---But that is just how it is with us," says Susan Drachenberg---Cosmetic Dentist* Dr Ron Drachenberg's wife. "I had to have a man that would open doors for me and that treated his Mom well, " Susan says with a light hearted laugh. "When I met Ron Drachenberg in my second year of college," she recalls, "it did not take long to realize that this man did these things. I vividly remember the second time I ever met him. I was a bit surprised when I looked up and saw him---So with a quick smile, a warm "Hello" and an obviously nervous flick of my hand, the pencil I was holding flipped out of my hand up into the air and landed on the floor right in front of him. Like the true gentleman that he has always been, he reached down and picked up the pencil and handed it back to me. A friend of mine who was observing this whole scene . . . without skipping a beat said right in front of Ron as he handed the pencil back to me, "Oh Susan, What happened? Did you forget your hankerchief?" How embarrassing was that!!! But you know, I guess it worked because after all these years---he still picks up the things I drop, opens doors for me and holds my hand almost everywhere we go. Now that is what I call my "Knight In Shining Armor" come true! "Since I do most of the promotions and public relations for The SmileStudio," Susan continues, "my husband, Cosmetic Dentist* Dr Ron Drachenberg & I agree that it is my job to have people lining up at the front door to get their new smile---and it is his job to actually make them smile!" "May I brag a little? 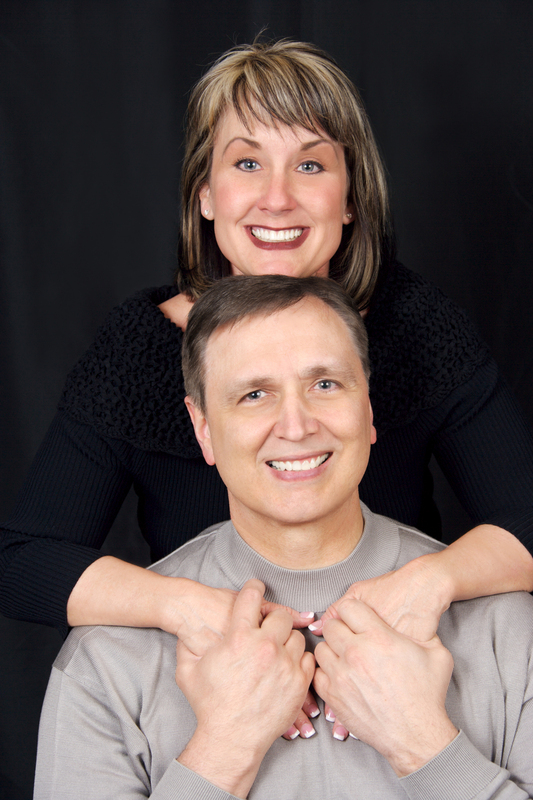 ", says Susan with a big smile on her face and a twinkle in her eye---"My job is very simple with such an awesome Cosmetic Dentist* as my husband!---In fact, I like to call him my Guru-Dentist husband. But you do not have to take my word for it," she continues. "See for yourself what my husband---Dr Ron Drachenberg, a SW Florida Icon of Cosmetic Dentistry serving Fort Myers, Cape Coral & Naples, FL---can do for you. Click on The Success Stories Button to see what patients have to say about their experiences at The SmileStudio. You may also visit our Masterpiece Smile Gallery where you will discover a stunning portfolio of Actual Before & After Photo Results of Cosmetic Dentist* Dr Ron Drachenberg's Custom Cosmetic Dentistry cases." If you would like to learn more "Drachenberg Family Fun Facts" about Cosmetic Dentist* Dr. Ron Drachenberg & his wife, Susan Drachenberg---as well as their two sons---both of whom "grew up" with The SmileStudio, you may click into the Family Matters Link. We certainly hope you will enjoy . . .